Russian fighter, Alexander Volkov is set to clash on Saturday evening with fellow UFC Heavyweight Championship contender, Derrick Lewis on the undercard of the massively anticipated UFC 229 show. 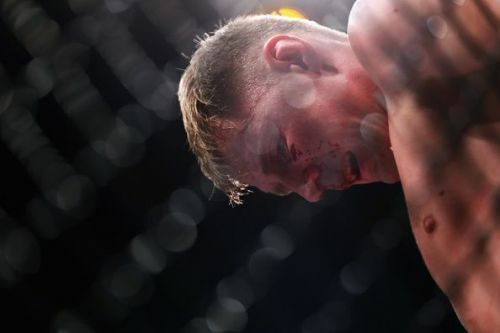 Volkov has won all four of his UFC fights to date and is unbeaten in his most recent six. Overall, the 29-year-old boasts an impressive 30-6-0 record in his Mixed Martial Arts career. Currently, the fifth-ranked Heavyweight contender, Volkov can accelerate up the rankings should be able to knock off second-ranked Lewis on the UFC 229 undercard. Volkov is a dangerous striker, capable of devastating knockouts. At an imposing six feet seven inches in height, Volkov is more than a match for anybody in the Octagon with an impressive reach of 81 cm. Prior to joining the UFC, Volkov spent the majority of his nine-year MMA career fighting for Bellator and M1 and held both promotion's Heavyweight Championships. The Russian fighter is aiming to add the UFC Heavyweight Championship to his growing collection of titles. 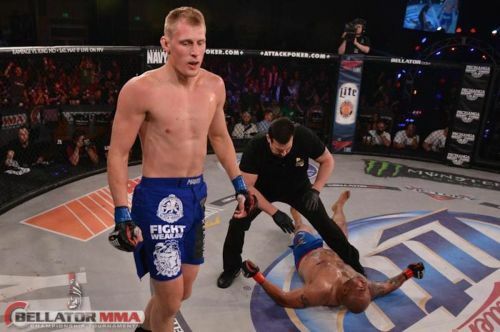 Probably Alexander Volkov's most impressive performance in Bellator came against Mighty Mo. It took the Russian just under three minutes to defeat the experienced MMA and Kickboxing star. Volkov took a leaf out of his opponent's playbook by unleashing a devastating head kick which knocked out the former Kickboxer in impressive fashion. Volkov, if anyone had not been being attention, had truly arrived at that point. UFC 229: What happened when Conor McGregor returned to Octagon to face Khabib Nurmagomedov?